-Beer lovers Rejoice! Along with hard-to-find beer selections, you can even try their home brew. -They essentially started the growler trend. 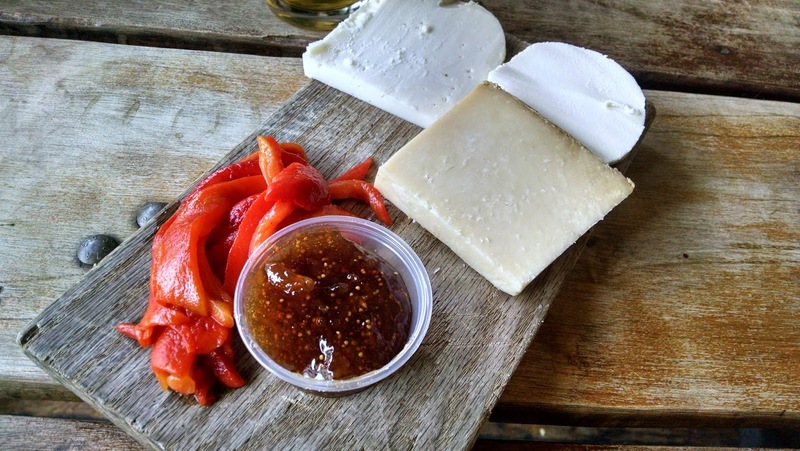 -Cheese board ($12) comes with a large amounts of artisanal cheeses (three kinds), dried apricots and bread. It would feed at least two-three people unless you really, really love cheese, then it's all yours. 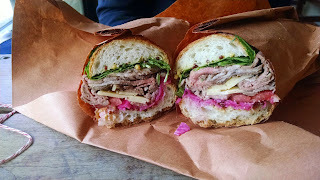 -RB's pastrami spiced brisket ($11) was a very tasty sandwich, and the grainy mustard was delicious. -The ordering process is overly complex. Where do we wait? There's a sign that says to wait at the table, but how do we know when the order is ready?